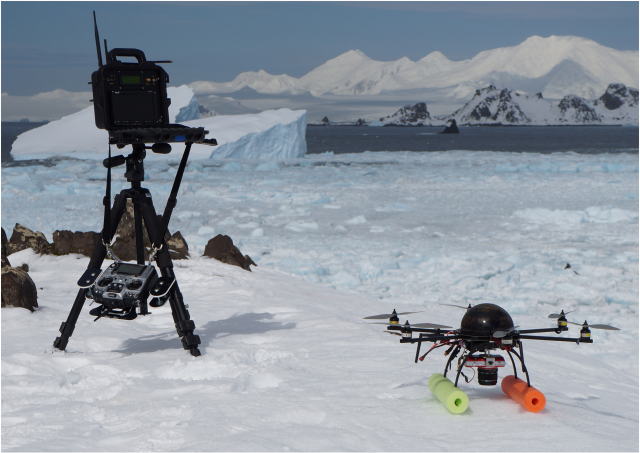 Drones are being used to measure the length and weight of leopard seals in Antarctica. The higher you go up the food chain, the more you can learn about the ecosystem as a whole. That thinking is behind a project that has seen marine researchers use drones to collect biological samples from whales, and it’s now underpinning similar efforts on land in Antarctica. Scientists from the US National Oceanic and Atmospheric Administration (NOAA) Southwest Fisheries Science Center are using drones to gather data on the predator that best reflects the health of local fish stocks: leopard seals. 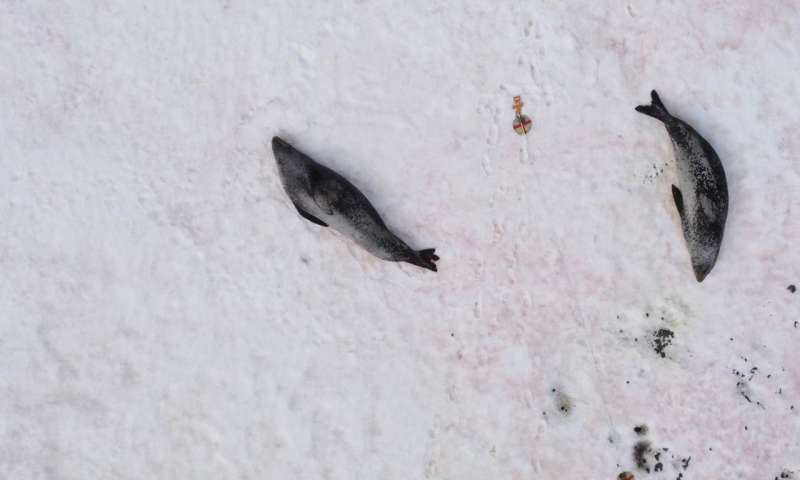 Working with drone company Aerial Imaging Solutions, the NOAA SFCC team have been able to accurately determine the weight and length of leopard seals solely through the use of aerial photography. 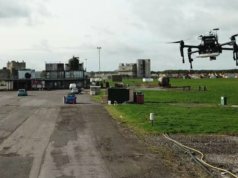 Using a drone to hover above the animals, the research team are able to ascertain length and weight measurements accurate to within 2 percent and 4 percent respectively. 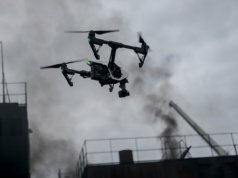 As with many drone applications, the biggest factor is the time saved. Traditionally, research teams looking to gather the same information would face hours in the cold attempting to find, capture and immobilize the seals. A crew of five could take over four hours to catch each of the 15 leopard seals selected for the study. 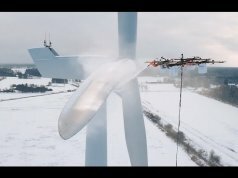 But with the drone, a two-person team only needed 20 minutes to gather the same data. The new method is also a lot less stressful and invasive for the animals, which can only be a good thing. 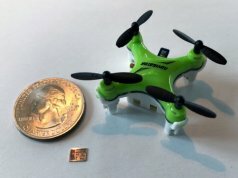 “We continue to develop technologies to gather the data we need to manage fish and wildlife in a safer, less expensive way,” said Douglas Krause, lead author of the paper demonstrating the new research method, An accurate and adaptable photogrammetric approach for estimating the mass and body condition of pinnipeds using an unmanned aerial system. 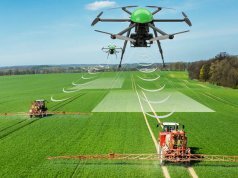 By making the collection of data faster, cheaper and more efficient, aerial technology can free up valuable resources for researchers enable them to make a positive difference. In Antarctica, keeping track of a dynamic eco-system is the only way to make informed policy decisions. “We’re always looking for more efficient ways to collect data that informs decisions on how to manage these important resources,” said George Watters, director of the NOAA’s Antarctic Ecosystem Research Division (AERD).